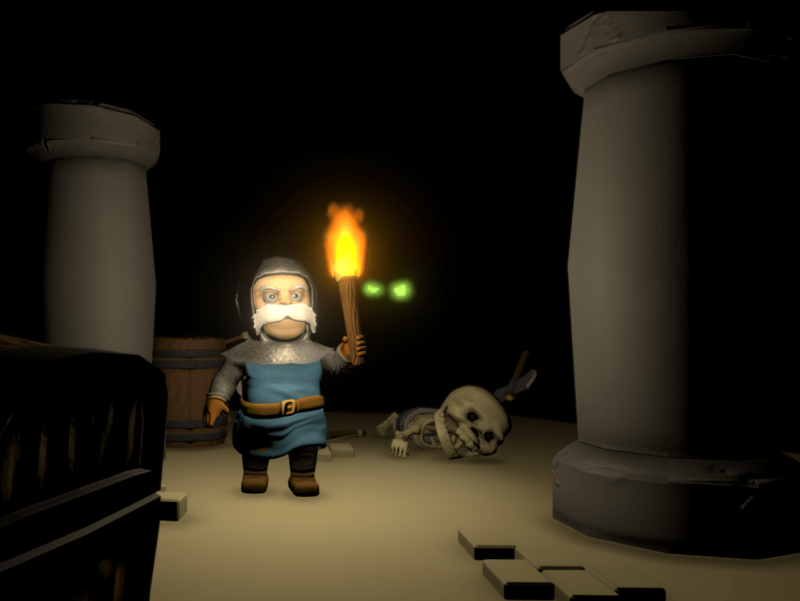 GoldGreed is a 3D top-down adventure game for up to four local players with focus on player immersion and player creativity. 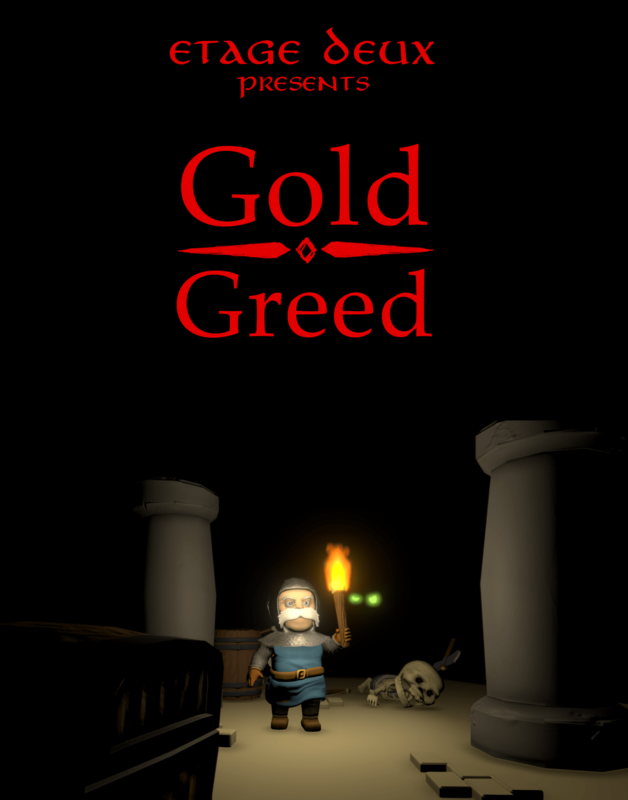 GoldGreed spawned as an idea to create an adventure where up to four players can co-operate and play with their own unique playstyle. We wanted to make a local couch gaming experience that included questing, exploring, puzzle-solving, and engaging in combat. Each player would get to choose between one-handed or two-handed melee weapons or a bow for fighting. To draw the players to interact with the world in various ways, we would add items suchs as bombs, a drawable map, trees that can be cut down and used, and a rope. One of our main gameplay mechanics that we wanted to explore was letting the players be able to lift objects and even other players. We imagined a totem-pole of player characters lifting eachother to reach heights otherwise inaccessible, or to target an enemy’s weak point that’s located higher up. As far as narrative goes, we wanted the world to have its story and let the players explore whatever peaked their interest the most. Society in GoldGreed is, as you could have guessed, greedy. This engages the player to think economically and morally.